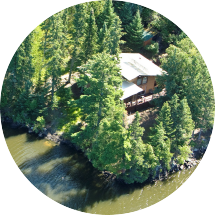 offers a deluxe two-bedroom chalet with additional sleeping loft nestled on a two-acre point with a spectacular view of the lake. 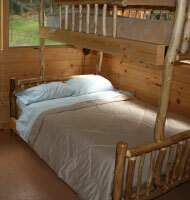 It offers a private vacation experience in a beautiful wilderness setting but with all the comforts of home. 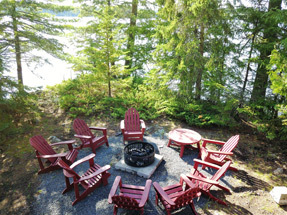 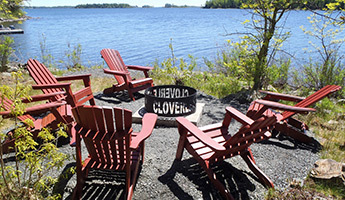 This includes quiet solar powered electricity, a spacious fully-equipped kitchen, large living room with cozy fireplace, satellite TV, cell phone coverage and a screened-in porch where you can sit in the early evening enjoying the solitude of the lake and the aroma of the dinner cooking on the provided barbecue. 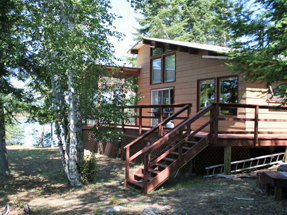 In addition enjoy the great fishing on Lake of the Woods. 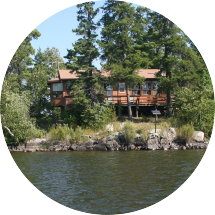 Both Private Island Chalets are a 16 mile boat trip from Kenora, Ontario and located on beautiful Lake of the Woods, Ontario, Canada. 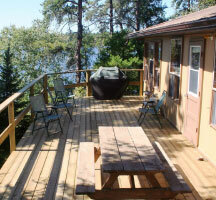 is your own private 2 acre island in the heart of Lake of the Woods. 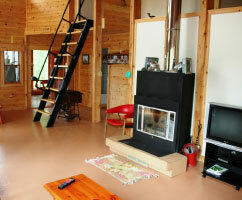 Enjoy this island retreat with two cabins and a beautiful sand beach. 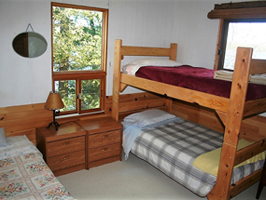 The main cabin is fully equipped with 3 bedrooms and a comfortable living room with a TV and fireplace. 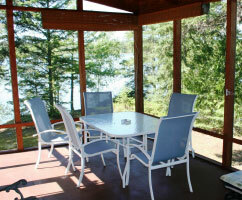 Enjoy the panoramic lake views from the dining room or large outdoor deck. 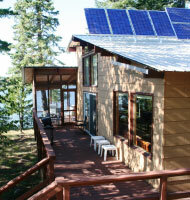 The island has quiet solar power as well as dock power for charging your boat batteries. 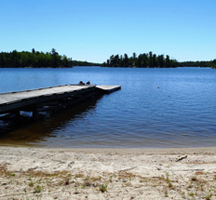 Enjoy the great fishing on Lake of the Woods. 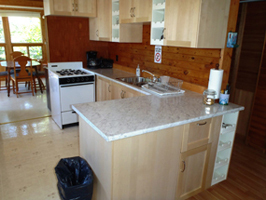 Both locations are nearby our main lodge where you can pick up supplies or gas if needed. 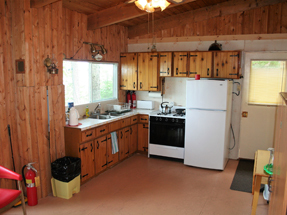 For those evenings that you don’t feel like cooking, drop in our main lodge for a delicious home cooked dinner.